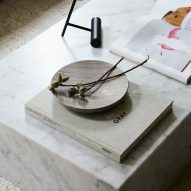 Danish brand Menu has furnished a New York apartment with its range of products, creating a space for the company to launch new collections and hold events. Menu Space New York opened May 2018 to coincide with the city's NYCxDesign festival. It occupies a loft-style apartment in a historic building on the edge of the Soho district. Doubling as a home for the brand's area sales manager, the one-bedroom residence is kitted out with Menu's furniture, homeware and accessories. Meetings, product launches, casual get-togethers and customer viewings will all take place in the space, which acts as a permanent showroom for Menu. "The idea was to create a space that was warm, welcoming, and inviting – a little slice of Copenhagen in the Big Apple," said a statement from the brand. The decor is minimal and colours are muted, in keeping with Menu's Scandinavian aesthetic. Textured rugs cover portions of the stained wooden floor, while dark-toned curtains cordon off private areas. 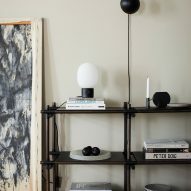 Among the products on show as part of the debut display are Jonas Wagell's popular JDWA lamp, which is now available with a marble base – as it was originally intended when first designed. Other updated pieces include the brand's bestselling Afteroom Chair, refreshed with a wider backrest to be more comfortable as a dining chair. 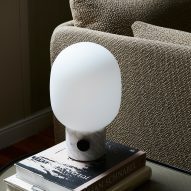 In the light and bright bedroom are marble side tables, and an electrical outlet in the form of a pendant that hangs from the ceiling. 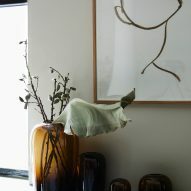 The showroom will be regularly updated as Menu releases new furniture and home accessories. "The idea is to keep Menu Space moving and ever-changing," said Menu design director Joachim Kornbæk Engell-Hansen. "To have friends of the house and people we admire stop by on a regular basis and help shape the interior layout – ensuring that we always have a vibrant, creative, lively space that continues to inspire our neighbours, visitors, friends, clients, and designers." Menu Space New York joins the first outpost in the Nordhavn harbour area of the Danish capital, which serves as a co-working space, cafe, office, and showroom for the company. Designed by Norm Architects, which frequently collaborates with Menu, the Copenhagen branch opened in July 2017. The company has since also opened Menu Spaces in London and Hong Kong. 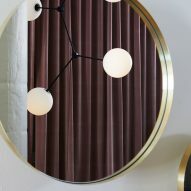 The current popularity of Scandinavian design in the US has also sparked other brands from the region to open or expand their showrooms in New York. 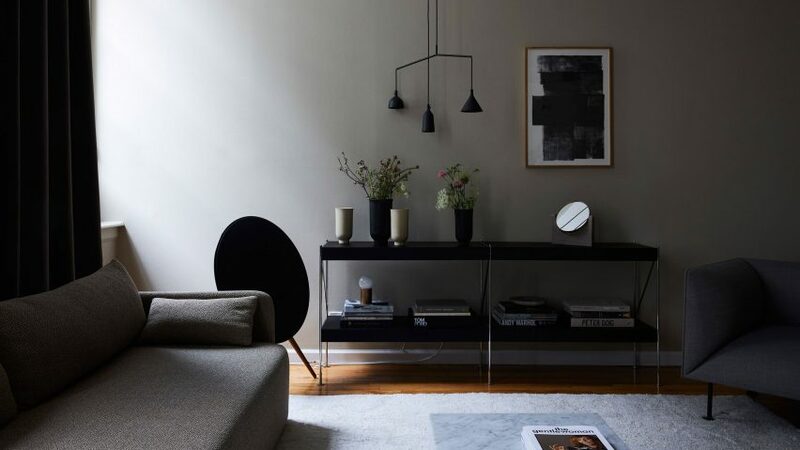 For example, Carl Hansen & Son moved to a much larger space in the NoMad neighbourhood in February last year. Menu Space New York is open on weekdays and available to visit by appointment.